Sidney and Edith have been married for 60 years. When Edith is allocated to a different care home to Sidney, she is distraught that she could be parted from him in their old age. But when Edith points out to Social Services that this would breach their human right to private and family life, Social Services swiftly change their minds. Watch Sunrise, not Sunset, my poignant fictional film directed by Paul Morrison and read a true case. Jan Sutton had multiple sclerosis to the extent that she relied on carers to be able to do anything. She successfully used the Human Rights Act to argue that she should have more care hours so that she could get on with some of her regular activities. This was a vast improvement to being stuck in bed most of the day. Sarah had learning difficulties. She was expected to take two buses to get to her school and she couldn’t manage this. She lived slightly too near to the school to be eligible for the school bus. Her mother mentioned human rights and the local authority then agreed Sarah could take the school bus after all. These are just a few of many stories which show how the Human Rights Act benefits ordinary people. A Human Rights framework provides a way to balance people’s rights. As can be seen from these cases, you don’t always have to go to court to use the Human Rights Act. Just mentioning it to a public authority can make them rethink their decision. Scrap the Human Rights Act? Despite the benefits of the Human Rights Act, since 2010 the Conservative government has repeatedly included in its manifestos its intention to repeal the Human Rights Act. They want to replace the Human Rights Act with a British Bill of Rights. The concern of many human rights experts is that this would be a watered down version of the Human Rights Act. In any case the experts recognise the Human Rights Act is a Bill of Rights. There are a couple of reasons why this manifesto pledge has not progressed. First the Conservatives were in a coalition with the Liberal Democrats so a vote to repeal the Human Rights Act would not have got through Parliament. Then, since 2015, the Conservative government has been preoccupied with Brexit. So the idea of repealing the Human Rights Act has been put to one side. However, in January 2019, Baroness Helena Kennedy (chair of the House of Lords EU Justice Sub-Committee), received a worrying letter from Edward Argar MP (Undersecretary of State at the Ministry of Justice). This referred to the Government’s intention to revisit the Human Rights Act once the process of leaving the EU is concluded. This means the threat to the Human Rights Act is once again on the agenda. This is ironic given that it was British lawyers who wrote the European Convention from which the Human Rights Act is drawn. So the European Convention took British customs and traditions into account. And in 1951 it was the UK that was the very first country to ratify the European Convention. A few weeks later, a cautious sigh of relief was let out during a debate in the House of Commons after Minister Edward Argar stated “ This country has a long tradition, which long predates the European Convention on Human Rights (ECHR) or the EU, of championing and setting the highest standards on human rights. The Human Rights Act 1998 gives further effect to the European Convention on Human Rights in our domestic law, and we are not considering amending or repealing it.” While this is welcome news, this opposing statement has caused uncertainty. Without the Human Rights Act people like Sidney and Edith, Jan and Sarah would have to take their case to the European Court of Human Rights in Strasbourg – with the inherent delays and costs. If the government did decide to try and repeal the Human Rights Act, they would have to hold a vote in Parliament. If like Rene Cassin, you want to save the Human Rights Act, you can start by sharing this blog with your friends and contacts. Then when it comes to a vote, there will be lots of people ready to let their MP know their opinion on the need to keep the Act. Because the Human Rights Act protects us all. 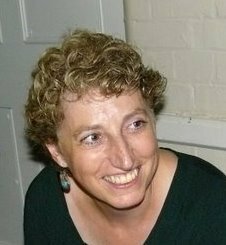 Debora Singer MBE is a human rights activist and campaigner. Her work has focused on the rights of women seeking asylum and also on victims of sexual and domestic violence in the UK. Over the past thirty years, Debora has worked for Asylum Aid, Victim Support, Amnesty International and Rene Cassin in either a paid or voluntary capacity.